Select your part geometry and define your weld, probe, wedge, and groups for your inspection directly on your computer for fast setup preparation. 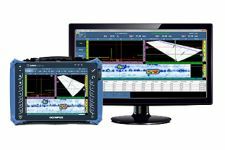 Once you have completed the definition of the inspection configuration in NDT SetupBuilder, you can export the parameters with just one click and import them into the OmniScan MX2 and SX flaw detectors. Once the configuration is imported to the OmniScan MX2 and SX flaw detectors, adjust your parameters, and then calibrate. The OmniScan MX2 and SX flaw detectors are now fully functional. Inspection data is transferred from the OmniScan to the OmniPC software on your computer for analysis and reporting. That leaves the OmniScan available to scan another part. 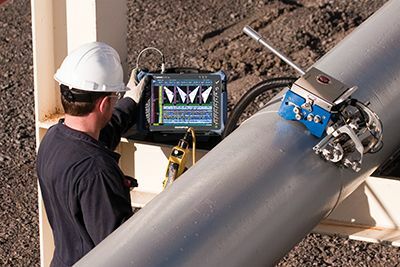 Automated Detection Technology™ software from VeriPhase® works with OmniScan® flaw detectors to quickly process encoded phased array weld data. Once the data is processed, a prepopulated indication table is sent directly to OmniPC™ software with all relevant position and sizing readings to assist you in your analysis. Phased array flaw detectors collect massive amounts of encoded data very quickly, potentially creating an analysis bottleneck in your workflow. ADT software processes inspection data files by automatically isolating and sizing indications for you to analyze. The software automatically assesses the data’s quality, including checks for loss of couplant and loss of data. The software can process single or multiple group files in seconds, producing a detailed data quality report and indication list. When you select an indication from the list, the software will automatically adjust the view and cursors for quick final disposition. It’s easy to update or delete indications from the list. Whether you’re using the software during primary inspection or post-inspection review, it provides you valuable information in a clear, concise format. The detailed quality report helps you to validate your setup parameters, spot data quality issues, and separate listings of populated indications by group. 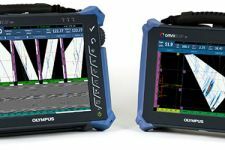 NDT SetupBuilder design software is an integral part of the Olympus line of automated and semi-automated ultrasonic testing products. Nondestructive testing (NDT) personnel are able to reduce the time defining the appropriate inspection configuration for OmniScan flaw detectors. This step makes sure that the configuration is compliant with the inspection code, eliminating possible configuration errors. The NDT SetupBuilder software interface is based on two grids: Probe Sets and Groups. The grids are designed to offer quick visualization of probes, wedges, positions, and beam parameters. Additional interfaces are available for wedge and probe definition and parameter validation. The wedge menu gives access to wedges available in the Olympus database, plus the details of the model characteristics including length, width, and height. Top, side and end views enable the user to visualize the selected wedge. Similarly, the probe interface provides access to the available probes and their corresponding parameters in the Olympus database. 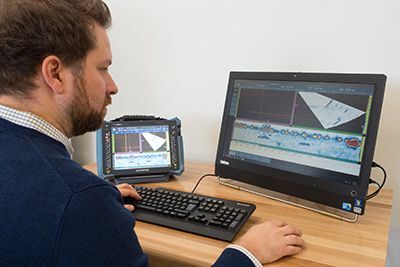 NDT supervisors can use PC-based NDT SetupBuilder software to define the inspection technique and set ultrasonic beam parameters for their inspections. Supervisors can define the inspection technique either remotely or on-site, without the need to access an OmniScan. More importantly, following the definition of the inspection technique, the configuration can be imported to the OmniScan MX2 and SX thereby reducing configuration time and manipulation errors prior to the inspection. Explanations, or tooltips, can be displayed by pointing the mouse over the interface elements, including tabs, toolbars, and dialog boxes. Tooltips include a clear image and a description of the associated function. The software is simple to use, even for inexperienced users. The RayTracing view displays a graphically rendered illustration of the part, probes, wedges, and groups in 2-D or 3-D. Display options include side, top, and end view in 2-D. Interactive parameter configuration controls and probe element information are also available. All configurations supported by the OmniScan and created in NDT SetupBuilder can be exported as an .ondt setup file. NDT SetupBuilder software can also be used as a focal law calculator. Groups not supported by the OmniScan can be exported as .law files. Export your configurations on a USB key or an SD card and import them into your OmniScan. Once imported, there is no need to go through the inspection configuration menus. Just calibrate, and the unit is fully functional. OmniPC is a PC-based data analysis and reporting software that benefits from the same user interface, analysis and reporting features as the OmniScan. With OmniPC, the OmniScan unit can now be used strictly for scanning while analysis is performed simultaneously on a personal computer. This software can also be used in conjunction with extra-large screens for increased visibility, and with keyboard shortcuts for faster operations. OmniPC software benefits from the same user interface as the OmniScan software. No need to learn new software for the analysis of your OmniScan data files. 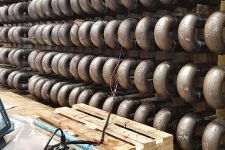 OmniPC adds a new feature for corrosion applications. You can export the complete C-Scan values to a *.txt file for further analysis. The values can be visualized in the Notepad, Excel, Matlab or any other software in which you wish to do your analysis. Perform your acquisition on any OmniScan instrument. Export as a .txt file and perform analysis on the software of your choice.